Matthew Jeffery is a licensed immigration lawyer Pickering with a law degree from Osgoode Hall Law School and more than 20 years of experience in immigration law. Mr. Jeffery provides the full range of immigration services including help in permanent residence card renewals, work permit and visa applications, immigration appeals and other litigation matters. 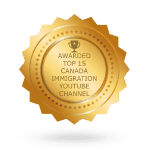 He is certified in Immigration Law by the Law Society of Upper Canada and comes with the expertise to provide the best legal advice on matters involving the Canadian immigration system. Have you been considering sponsoring a family member or spouse to live in Canada? As a Canadian permanent resident or citizen, you may qualify to sponsor a child, parent, spouse, partner or grandparent to live in Canada. For your sponsorship application to be approved, you must show that you have sufficient income to take care of the sponsored person when they arrive in Canada. We will help you with your spousal sponsorship application including in order increase the chances of approval. Renewing your permanent residence card may seem like an easy process. But you may soon find out that you don’t fulfill the residence requirements. What most permanent residents are unaware of is that there are a number of exceptions to the rule that can help you fulfill the residence requirement. For instance, if you have lived abroad with a spouse or parent who is a permanent resident, the time you spent abroad may be considered in the permanent residence period. Partnering with an immigration lawyer Pickering helps you to understand all these options and consider them when applying for renewal so you can retain your permanent residence status. The Express Entry system is possibly the most complicated in Canadian immigration law. This system facilitates the immigration of foreign nationals who want to join the Canadian workforce. The programs under the Express Entry system have been created to make processing of applications quick so that skilled workers and traders can be admitted into the country with ease. An immigration lawyer can help you to understand the Express Entry program that you can enroll into by showing that you meet all the minimum requirements. The programs are usually very competitive so you need to provide accurate and well-presented information that showcases your uniqueness and talent. There are different types of temporary resident visas that you can apply for in order to enter or stay in Canada for a limited period of time. From study permits to visitor visas and work permits, temporary resident applications need to be handled with care to enhance your chances of approval. An experienced immigration lawyer can help you understand all your options and apply for the temporary visa that you qualify for in order to increase chances of approval. To apply for Canadian citizenship, permanent residents need to fulfill the residency requirements. The permanent resident must have lived in Canada for 3 years within the 5-year period immediately before applying for citizenship. You are also required to pass the knowledge of Canada test, demonstrate that you are proficient in English or French and have filed income tax returns for at least three years in the relevant period. We can help you navigate the citizenship application process by explaining your options and advising on how to ensure your application is approved. Immigration appeal cases can be very complex. Your permanent residence application may be refused due to criminal grounds or misrepresentation. There are other reasons such as incomplete information that could make your application to be rejected by the IRCC. Mr. Jeffery and his team come with valuable experience in all immigration appeal matters including citizenship revocation matters and inadmissibility cases. 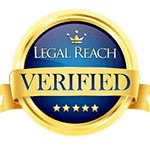 We have experience in Federal Court judicial reviews and handling appeals before the IRB. 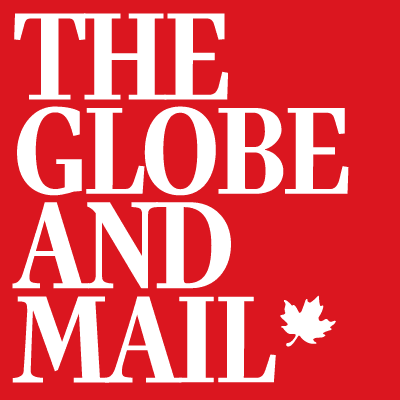 Have you been prohibited to enter or remain in Canada? We can help. The law office of Matthew Jeffery has assisted numerous clients who have been declared inadmissible to Canada due to a number of reasons such as criminality, medical grounds, and misrepresentation. 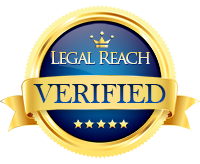 In fact, many of our clients are unaware that they may be inadmissible due to offenses that occurred in the past or latent medical problems. We can help challenge the decision and overcome inadmissibility by challenging the decision in court. Matthew Jeffery is pleased to be offering his services as an immigration lawyer to the city of Pickering, Ontario. Established as a township in 1811 and as a city in the year 2000, Pickering is a quiet community approximately half an hour east of Toronto with approximately 90,000 residents. Pickering is located on the shores of beautiful Lake Ontario, making it a scenic destination for new residents to Canada. It also has plenty of employment opportunities, having the most jobs in the Durham region as well as being listed as one of the top 10 cities in Canada to grow a business by Profit magazine. With a strong immigrant population which took off after the Second World War and 35% of residents belonging to a visible minority, Pickering is an ideal place to begin your start in Canada. Of course, immigration or temporary residency isn’t as simple as packing your things and moving to a new location. There are a complex series of rules and regulations that can be difficult enough to decipher even without having to deal with the stress of adjusting to a new culture. 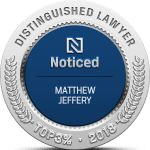 Matthew Jeffery is certified by the Law society of Upper Canada as a Specialist in Immigration law and is legally able to counsel and represent you on all immigration matters. With over 15 years of experience and countless success stories, Mr. Jeffery offers consultations at the discounted rate of $150 for a half-hour phone or in-person consultation. If you are unsure if you qualify to immigrate to Canada, you may also fill out our free assessment forms to determine whether or not you are eligible for permanent residence. Your immigration or permanent residence status is a life altering matter so it is worth obtaining expert advice when navigating the complexities of immigration law. Contact Matthew Jeffery today at 1-866-886-8014.